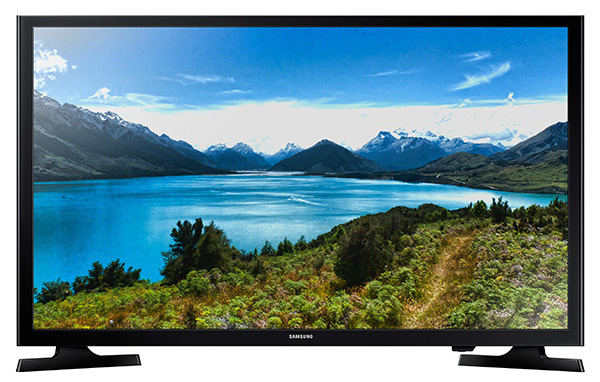 The 32 inch Samsung UN32J4000 features a 720p screen. Those resolutions may scare some people off in a world where 4K is becoming the standard, but there is no reason to worry. A 32 inch screen really doesn't need a 1080p resolution unless it is going to be acting as a computer monitor. The main reason is that most broadcasts and video games are still 720p. It is beginning to change but that won't render the TV useless by any means. The 60Hz refresh rate seems a little low, but it surely keeps the cost down on this one. Motion blur and judder are not going to be highly noticeable on a screen this size as well. However, sitting further away from the screen will help diminish the effects. The “Clear Motion Rate” of 60 does not help much. Those who are looking will see it, but only the most sensitive to the issue will be bothered by it. Side viewing angles on the J4000 perform just as you would expect them to on a low end model. We see contrast and color begin to face at about the 30 degree mark. This is typical for LCD/LED TVs and this one is not plagued by terrible viewing angles. This new technology from Samsung is created to widen the color gamut. It has plausible benefits on the J4000, but overall color accuracy is good on this TV. Color performance on the UN32J4000 is strong on the verge of being over-saturated. 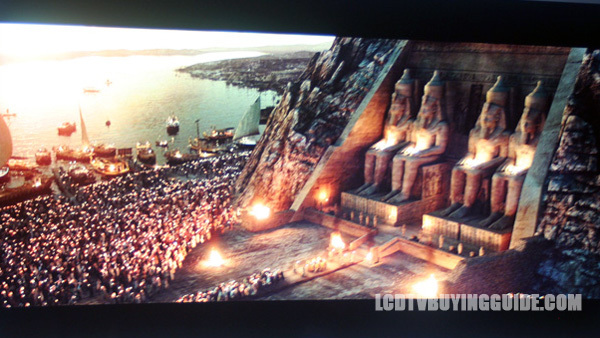 However, the picture is much dimmer than large LED backlit displays due to toned down LED edge lights. Even with the Backlight adjustment turned all the way up we noted that the picture is somewhat dim. Of course, you do not end up with nearly as great a picture quality or realism as you would get in a top end LED, but for an inexpensive 32 inch TV this is a pretty strong offering. Many viewers like this look as evidenced by network broadcasts cranking up the saturation. This can be dialed back in calibration if you prefer more realistic colors so fans of either look can be satisfied by the J4000. 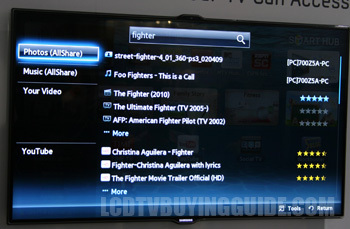 Though the UN32J4000 does not have Smart TV features it does have the connect share feature which allows connectivity via USB input for computer, videos, or camera. This gives you a wide range of viewing options for content through your computer. The remote control is large, basic, is not backlit, but contains sufficient controls - especially for this size of TV. There is a nifty "tools" key that allows from quick selection of frequently used controls. The onscreen overlay menu is very complete with some surprising inclusions such as Advanced Picture settings. The UN32J4000 may have a pretty plain appearance, but we don't expect much more from a $200 TV. The bezels and profile have a little more width than the step up models. The awkward arc stand feet are very different this year. The UN32J4000 is definitely priced to please at $230. It competes very well with the best priced Sony, LG and Vizio models. Overall, the picture is not great unless you are pumping in a beautiful broadcast HD picture signal. It's a fine guest bedroom TV.